The last two to three weeks has been quite a tumultuous time for the French government, as residents have been out protesting against the latest hike in the prices for fuel. The rate hike in the prices for fuel has meant that consumers will have to pay almost 10 cents more for each gallon of gas for their car. Consumers didn’t take well to the measures and came out in numbers, protesting against the Government and the impoverished measures of austerity. Many took the law in to their own hand, and burnt cars scattered across the roads. The French government previously stated that these taxes had been levied to fight off the threat of climate change in not just France, but the world as well. However, a rights group by the name of the Yellow Vest movement, comprising of poor, rural Frenchmen has been protesting since many weeks about the poor living conditions in the country, despite the fact that it has some of the highest rates for taxation in the whole of Europe. While the government had at first remained steadfast, they had to eventually retreat in the face of constant opposition from the group and other violent mobs. The u-turn by the French government is a reflection of how today’s politicians are fickle and have zero control over public violence. Prime Minister Edouard Philippe finally bowed down in front of the mayhem and gave in to the demand of the mobs. The government had previously spoken highly of standing beside their policies, but with this latest decision they have given an indication of how spineless they really are. Thousands of rioters marched around French Streets throughout last week, setting on fire more than a hundred French cars. The lives of many residents were disrupted, as the mobsters went from street to street, setting fire to the expensive cars across neighborhoods. Not only did the government fail to restrict the protestors and the damage they were causing, but it also bowed down in front of them. The state failed against some cheap rioters with no clear mission up their sleeves. 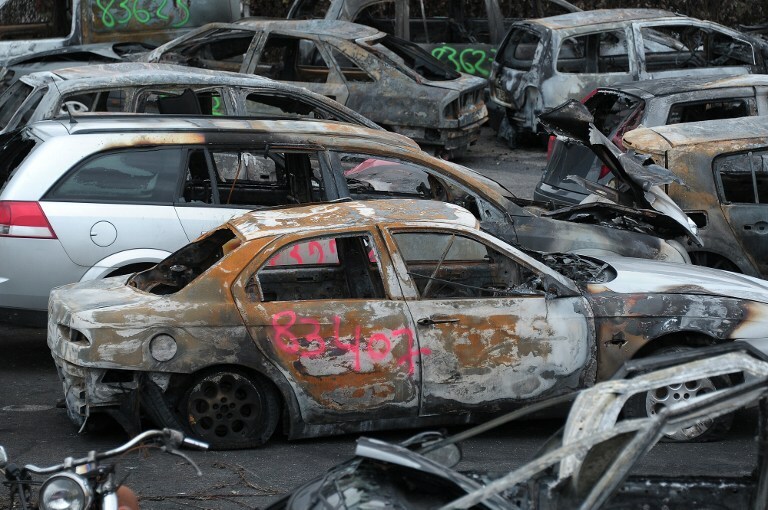 The French government has showed the rest of the public how there is nothing that can be done when angry mobsters turn towards burning French cars. Next time someone falls out of favor with the government, they can set out to burn French cars, because that’s what scares the government. We all know how the two of the biggest French car companies, Peugeot and Renault, are closely linked to Britain, not only in the matters of manufacturing but in terms of the market as well. Bearing that in mind, if you bring the apparently impending disaster of Brexit into the picture, the scenario could turn out to be not only disastrous but painful as well, at least for the working class of the French population. A key French car lobbyist has advised Macron that when the time comes, he needs to choose economy over politics and worry about protecting jobs rather than the sanctity of Brussels. It is so because if the world witnesses Brexit happen, then it would result into a lot of uncertainties for the two French car companies already discussed. Among these uncertainties, not only would the cars become more expensive but the profits of the companies will glide as well. The ultimate crunch, however, will be faced by the working class of France who are employed by these companies in the UK, owing to how they, simply, will not be needed anymore. This will not only result into negative implications for these companies but for the entire country, on the whole, as well. Historically, Macron has proved to be more economics over politics, but the entire scenario might go topsy-turvy real fast, owing to how the entrance of the “people from Brussels” into a scenario can significantly impact the decisions and outcomes. For the sake of his working class, it is about time for Macron to do what’s in the best interest for France rather than being dictated by Brussels. If he doesn’t, then he can kiss the dream of an inspired and confident France, under his leadership, goodbye! While the rest of the world celebrates New Year’s Eve with love and fireworks, the French seem to have found something that involves more fire: the torching of cars. This New Year’s Eve saw the torching of 1,031 cars, as compared to the figure of 935 from last year. What follows, almost every year, is a number of arrests of the people responsible. However, that appears to be doing nothing to curb the problem. French president, Emmanuel Macron, denounced the actions by declaring them “cowardly” and stating that all of the culprits will be apprehended. Perhaps, it would be in the best interest of France if its President spent less time giving speeches and more time actually making an example out of people. This custom of torching cars on the New Year’s Eve began in 1990 and has been growing ever since. When you consider how this custom has survived for nearly three decades, you have got to say that it speaks millions of the inability of the French government when it comes to the protection of people’s lives and properties. 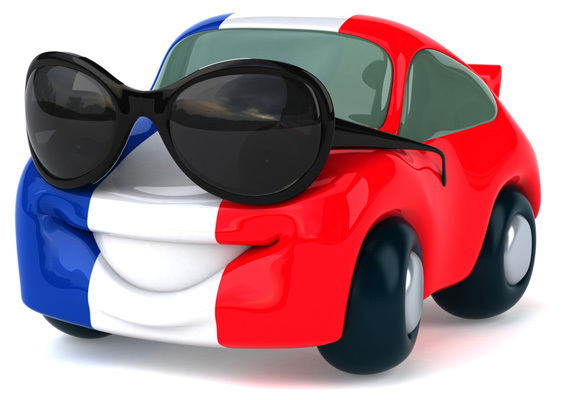 It is tough being a car owner in France and it’s an irony that the country calls itself the heart of European culture!